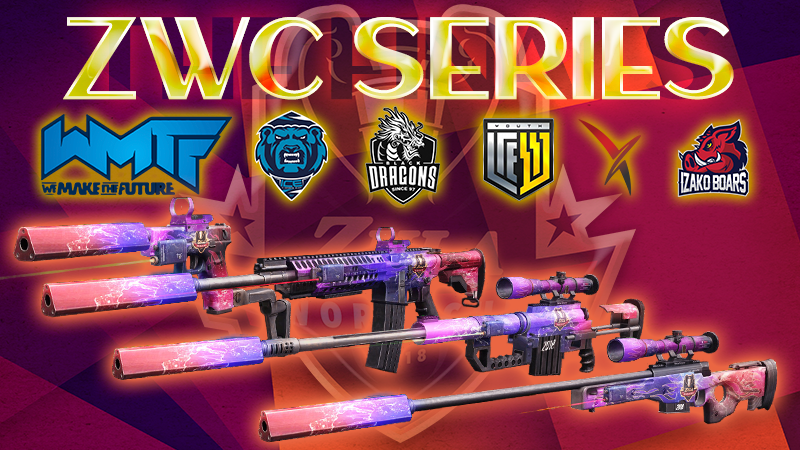 200,000 Zula Gold + 30,000 Bonus Zula Gold + ZWC 2018 epic skins for M468, AWP, Cheytac M200 and Glock 18. 160,000 Zula Gold + 24,000 Bonus Zula Gold + ZWC 2018 epic sights/scopes for M468, AWP, Cheytac M200 and Glock 18. 100,000 Zula Gold + 12,000 Bonus Zula Gold + ZWC 2018 Epic Silencers and Red Muzzle for M468, AWP, Cheytac M200 and Glock 18 + Epic Red Laser ZWC 2018 for M468, AWP, Cheytac M200 and Glock 18. 50,000 Zula Gold + 2,500 Bonus Zula Gold + ZWC 2018 Spray (60 Days) + Sprays from all participating teams in the world (60 Days). IMPORTANT: The offer will be active from Friday 04/01/2019 at 10:00 (CET) until Monday 07/01/2019 at 10:00 (CET). IMPORTANT: if you want to buy more than one pack, make independent purchases to avoid conflicts. In the case of ignoring this indication, NO REFUNDS WILL BE MADE. Take this opportunity to get these customization cards!